For those who own an MG or just love this unique marque, MG Enthusiast is the ultimate read for everything regarding this iconic piece of UK history. MG Enthusiast features all ages and types of MGs, from the earliest 14/40s to the more familiar shapes of the Midget and MGB. It’s filled with entertaining and fun real-life stories and MG specific articles that pull readers into the MG world and define what it means to be an MG owner. 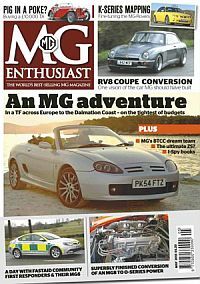 MG Enthusiast also provides expertly written reviews, the latest gear, buyer guides, news, features and easy-to-follow tips and techniques that readers can use to maintain and run their MG and make the best out of their MG ownership experience. 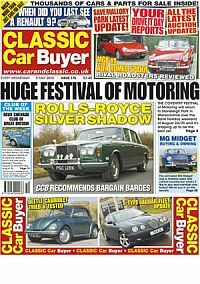 There are also classified ad pages where readers can buy and sell MG cars. The definitive read for fans of this popular British marque. Published in English - Monthly. Allow 6-10 weeks for initial delivery.